In a previous article, I wrote about a giant complex surrounding a lake in the spirit world. It was on one of the first levels of heaven. Now in a later series of messages in the Reverend Owen’s book, which is a collection of four of his books, Life Beyond the Veil, in The Lowlands of Heaven section, his mother enlightens us about a great building that served to study color. Everything is studied and analyzed in the spirit domain. Learning never ceases. Imagine the scope of professions which can be found in the vast spirit universe. If you are a painter or a designer who loves to work with colors, just think of the expanded boundaries you will encounter when you are back on the other side. 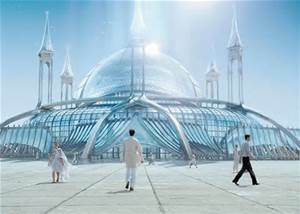 “You are wondering to what purpose these buildings of crystal are put. They are for studying the effect of colors as applied to different departments of life, animal, vegetable and even mineral life, but the two former chiefly, together with clothing. For both the texture and the hue of our garments take their quality from the spiritual state and character of the wearer. Our environment is part of us, just as with you, and light is one component, and an important one, of our environment. Therefore it is very powerful in its applications, under certain conditions, as we saw it in these halls. The spirit universe is vast and populated by a multitude of levels of spirits and human-like incarnates, all toiling on diverse planets to become pure spirits. All work together for the betterment of us all. Keep in mind, we don’t detect the life forms around us, they exists on different planes and in different dimensions and in different densities. Our senses and instruments are capable of detecting only a small part of the true environment around us. The books of communications from the Rev. G. Vale Owen exposes more of the life of spirits. When one has read the series of books by Andre Luiz, in which he chronicles his life in the celestial city of Nosso Lar, one thinks they have learned all there is to know about the first level of heaven. Where in truth, we are but shown a small slice. 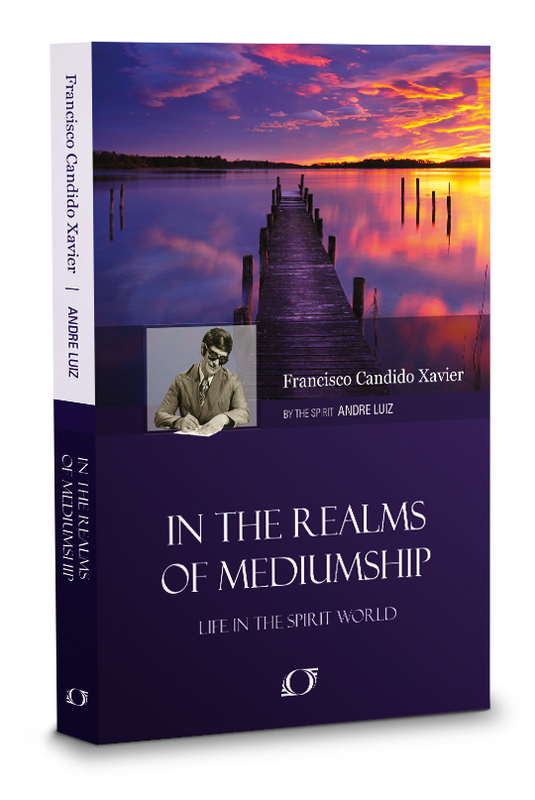 Hence, from a book written in the 1920’s which never mentions the name Spiritism, but follows its precepts, to a book psychographed by Chico Xavier, who was instructed to always follow the Doctrine of Spiritism, written in 1955, we detect the same culture, the same manners of dress. Allan Kardec, in the 1850’s, told us the books the Spirit of Truth presented to us are just the beginning. As those like me, who lamented the lack of real knowledge about the spirit world, and wished to know with certainty what awaits us, the entire universe has been laid out for us. I had spent so many years searching and not finding anything I could fit into my beliefs, until, way too late in life, I stumbled upon Spiritism. The amount of literature, which is an ongoing endeavor, brought to us by many mediums, is a source of enlightenment and comfort to all. As Spiritism grows, more will finally be able to read about why they are here on earth and to understand the need to balance their spiritual and material life. The spirit party, with G. Vale Owen’s mother, left the buildings and began walking home through the trees. They could still see the domes over the top of the forest. They noticed the domes changed colors. Then they witnessed a light show. Living in the spirit world in one of the heavenly spheres is to be part of a society that works together in harmony. Where the opportunities to find your dream job are endless. It may not be the eternal leisure that many have envisioned, it is better, it is eternally interesting, eternally enlightening, and above all else personally satisfying. A true Eden. The prerequisites for entry are simple. Live your life on earth, in a fashion where love, charity, fraternity, and honesty is more important than temporary luxuries bought by fooling or taking advantages of others. You don’t have to stay on your knees, reciting the same prayer over and over, hand over all of your assets to some corrupt organization, you don’t have to dress or eat a certain diet. You only have to live according to the golden rule.